NEW CD! Click on the cover for more info! NEW PHOTOS ADDED on November 23, 2004! CLICK HERE! 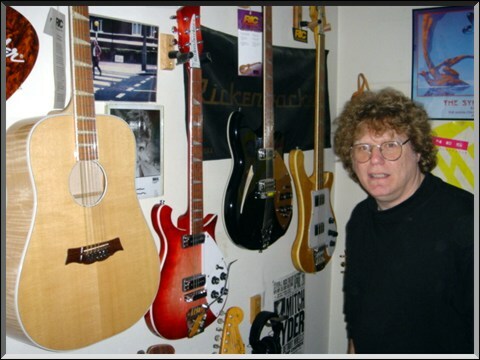 Left (middle) Mapleglo 730/12 Laramie Acoustic w/ a Martin pickup installed, 360/12 Jetglo, 4001 Bass/Mapleglo (from the 70's,customized with Humbucker pickups, a 4 way switch,and a full face pickguard), 330/6 All White (including all plastic parts). 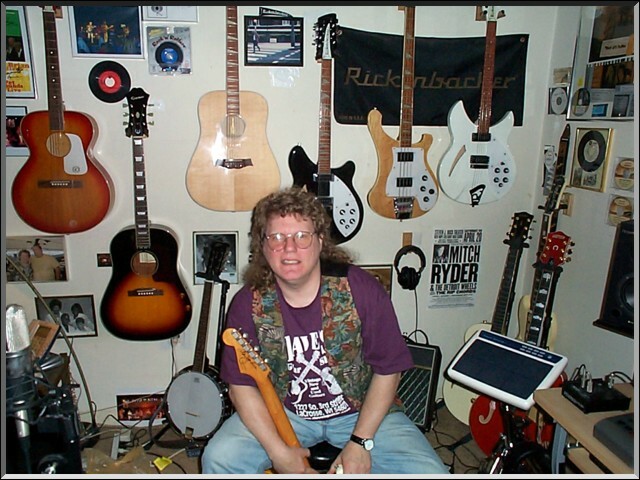 www.ripchords.net - To check out "The Rip Chords" whereabouts. www.cdbaby.com/mitchnamy - to sample the CD my wife and I have out,also available from www.towerrecords.com/mitchnamy (lots of Ric 12 on that CD). 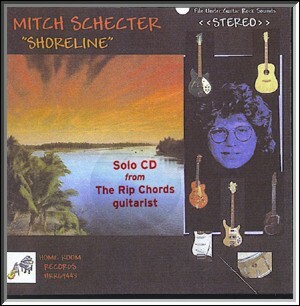 "....My name is Mitch Schecter,Guitarist with "The Rip Chords". 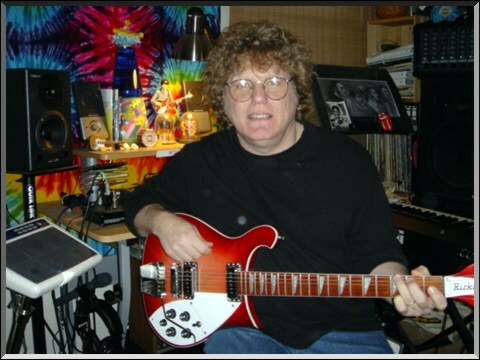 (Hey Little Cobra) I am a Rickenbacker player/collector and I have loved Rickenbacker Guitars since the early 60's. 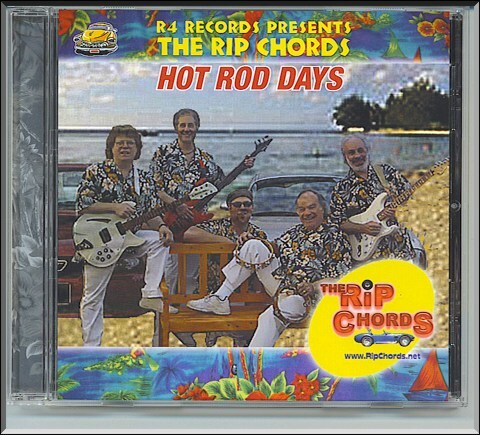 I have been playing in the re-formed version of The Rip Chords for 7 years now,and we have most recently been playing shows with Al Jardines All Star Beach Band and recently taped a show for PBS TV called "At The Drive In" that features us along with Jan & Dean,The Surfaris,The Nelson Twins, Bobby Vee, and many others. It will air Coast to Coast on PBS starting in November. I used my rare all white Ric 330/6 on the show. 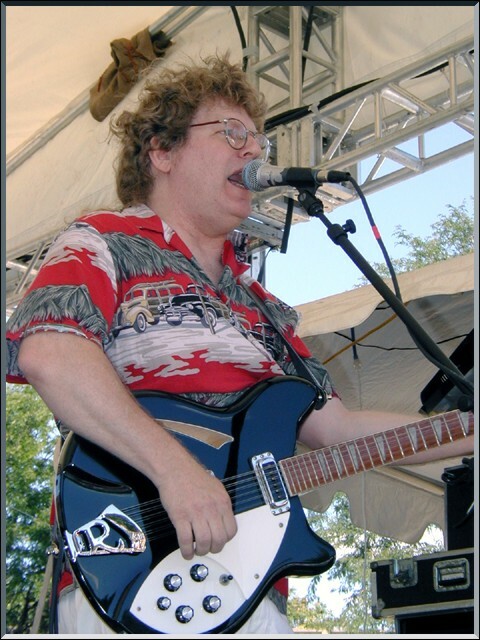 Mitch Schecter-Guitarist with The Rip Chords...."